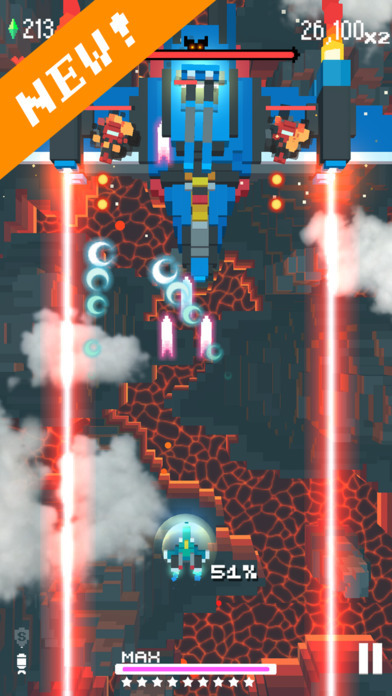 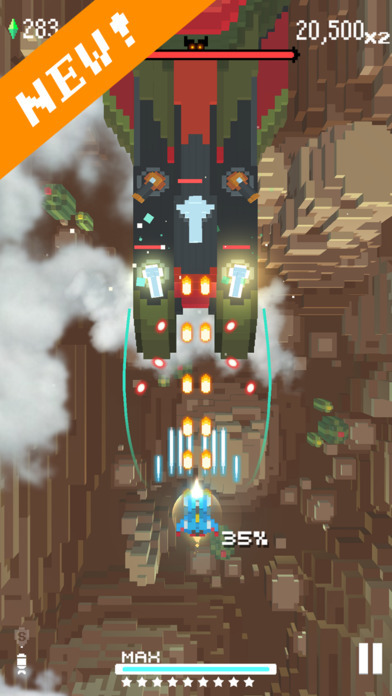 Retro Shooting is an extremely modern looking, (definitely “not” retro), space shooter game for your smartphone. Set in the skies above a blocky Minecraft-like world, your mission in this game is to take down blocky enemy ships using your own blocky fighter. Although this game is no doubt “supposed” to look somewhat retro, taking one look at the awesome 3D graphics will soon tell you otherwise. 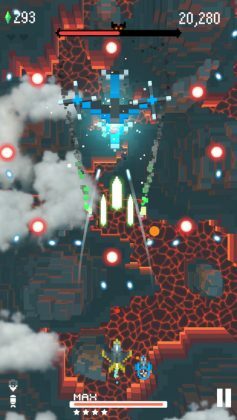 With high-end 3D pixel graphics, 10 fully upgradeable spacecraft to unlock and a fully mobile optimized gameplay system, Retro Shooting definitely isn’t retro. 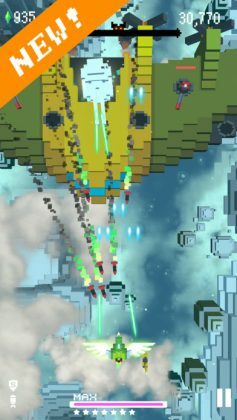 Played using simple (touch and drag) controls to move your ship around the screen, the entire game is parallaxed in order to create a much stronger illusion of motion, and to help prevent you from blocking your player from view with your own finger. Overall, Retro Shooting is an extremely high-quality game we wish had more levels. 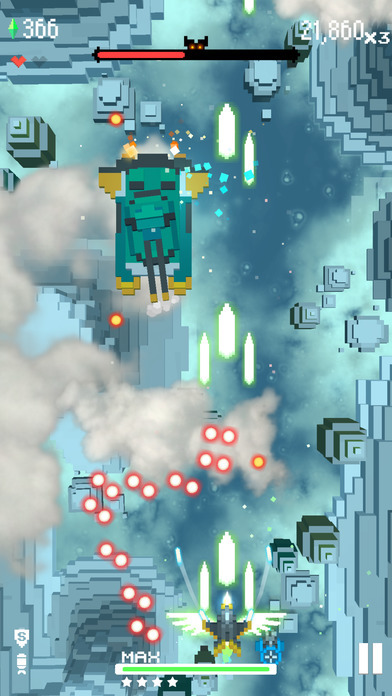 As of writing, Retro Shooting features 2 main game modes and has a total of 30 levels. Although a very small game, it is definitely well worth giving a try.